Juliet MIchelle Cotton obituary. Carnes Funeral Home. Michelle was born in Houston, Texas on October 17, 1967 to Gladys and Donald Ray Cotton. Michelle also tried her hand at acting for extra money. She was an extra in the movie “hard lessons”, starring Denzel Washington and based on a true story. The George McKenna story is a 1986 television film directed by Eric Laneville. The movie was filmed at Austin High School. She had a brief marriage to Arkmed Hussein in 2006. She chose the career of a security guard . After a back injury, she was forced to retire from Chase Call Center. Michelle learned to crichet during her school days which became a most loved hobby. Though Michelle was declared legally blind, she spent the last 3 years crocheting afghan’s for seniors She was currently woking on afghans to be donated to the “Battered and Abused Women” at The Star of Hope of Houston. She is preceded in death by her parents Gladys and Donald Ray Cotton. 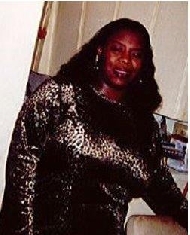 She leaves to cherish her memories, one son Christopher LaWanye Cotton, one sister Patrice Bess Cotton-Edward Barker, Spouse, one brother Reginald Dewayne Cotton, 5 grandchildren family and friends.